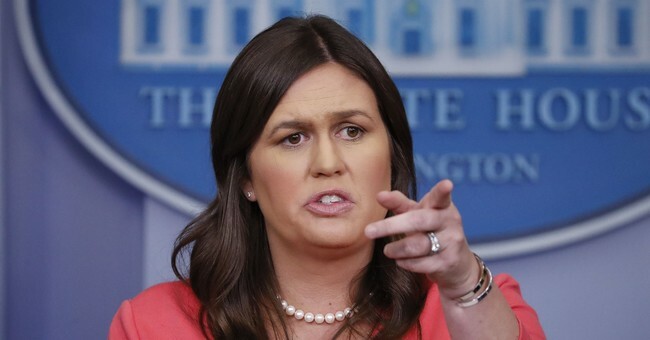 Speaking during the White House press briefing Wednesday, the first held in two weeks, Press Secretary Sarah Sanders said President Trump told Russian President Vladimir Putin to stay out of U.S. elections during their two hour private meeting in Helsinki Monday. "The President has made clear to Vladimir Putin that he should stay out of US elections," she said. Sanders also addressed how the administration is working to prevent Russian meddling in U.S. elections in the future. "The President and his administration are working very hard to make sure that Russia is unable to meddle in our elections as they have done in the past and as we have stated," she continued. Sanders also suggested the White House was considering allowing the Russian government to interrogate former U.S. Ambassador to Russia Michael McFaul. “Russia’s already yesterday named several Americans who they want to question who they claim were involved in, quote, unquote, crimes, in their terms, including a former ambassador to Russia, Michael McFaul. Does President Trump support that idea? Is he open to having US officials questioned by Russia?” asked the New York Times White House reporter Maggie Haberman asked. “There was some conversation about it, but there wasn’t a commitment made on behalf of the United States. The president will work with his team and we’ll let you know if there is an announcement on that front,” Sanders said. The State Department knocked down the idea and McFaul himself called for clarification.